to provide tooling for JITA maintenance by hosting the proposed new version of JITA and the status of each concept (published, new, change, deprecate). You open the document to index on one half of the screen, you open http://www.destin.be/scheme/view.jsp?everything=yes&scheme=jita&display=concepts#concepts on the other. You can use the search box or explore the JITA hierarchies and concepts. 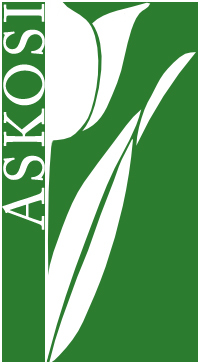 You select the desired concept by clicking the "caddy" (ASKOSI is friendly for shopping addicts!). You deselect a concept by clicking again the "caddy". In the upper right corner, the "caddy" can be clicked to look at its content. Just at the right of this button, you can click to get the "caddy" content ready to be pasted in another application. Problem is that E-LIS DSpace is not ready yet to receive multiple subjects pasted in one shot: stay tuned! Meanwhile, I am interested by your feedback about the ergonomy of this function. You put in your caddy the concepts you would like to search. A separate window opens with E-LIS and a search with all the chose concepts "ORed"
In the E-LIS search equation box, just remove the "OR" and eventually add parenthesis if you want other boolean combinations.